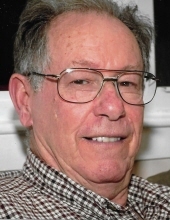 Harold Wayne Fuller, age 79, went to meet the Lord on January 11, 2019. He passed away peacefully at his home. He was born on June 27, 1939, in Rockwood, TN., the son of Thomas and Katherine Fuller of Rockwood. As a child, he loved spending time out in nature and raising numerous animals. In addition to his parents, he is preceded in death by brother, Dr. Thomas Fuller of Rockwood; sister, Kay Brewer of Oak Ridge; sister, Bonnie Hamby of Rockwood; sister Helen Warrington of Oak Ridge and brother, Ernie Fuller of Rockwood. Harold was a veteran of the United States Navy, serving from 1957-1961 on the Navy Destroyer USS Waldron and reached the rank of Second Class Petty Officer. During his time in the Navy, he was deployed to Cuba and was involved in the Bay of Pigs Invasion in 1961. He began working at Y-12 in 1971 where he was employed as a machinist. He had the honor of working on the Sea Wolf Program and retired after 35 years of service. In his spare time, he loved to fish, take his beloved dog, Sara, on walks and thoroughly enjoyed being outdoors. He was a loving husband, father, grandfather and friend. He is survived by his wife of 55 years, Sharon Richardson Fuller; daughter, Stacey Fuller of Clinton, TN; son, Darren Fuller and wife, Christy of Clinton, TN; grandchildren, Ethan, Caitlyn and Cara Fuller; special sister-in-law, Susan Fuller; nieces and nephews Chris Fuller, William and Kristel Gibbons, David Fuller, and Sean and Angie Newman along with several other nieces and nephews. He is also survived by Tony and Janice Maynard of Maryville and Don and Louise Bible of Clinton, who were considered special friends. The family will receive friends on Thursday, January 17, 2019 from 5 – 7pm at Weatherford Mortuary. The funeral will follow at 7pm with Rev. Darryl Aryender officiating. Family and friends will meet on Friday at 10am at Oak Ridge Memorial Park for a graveside service. Military honors will be provided by the US Navy Honor Guard. In lieu of flowers, the family asks that any memorials be made to Central Baptist Church, 130 Providence Road, Oak Ridge, TN 37830 in his memory. An online guestbook can be signed at www.weatherfordmortuary.com. To send flowers or a remembrance gift to the family of Harold Wayne Fuller, please visit our Tribute Store. Meet at the cemetery in the Garden of the Good Shepherd. "Email Address" would like to share the life celebration of Harold Wayne Fuller. Click on the "link" to go to share a favorite memory or leave a condolence message for the family.